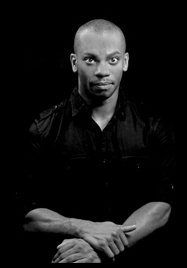 Richard Smith is the Artistic Director of Inaside Chicago Dance Company. Heis also currently on faculty at Joel Hall Dance Center and The Giordano Dance Center as well as being a jazz instructor for Cerqua Rivera Dance Company. He has been on Faculty at the Giordano Dance Center in years past and is still affiliated with Giordano Jazz Dance Chicago as well as River North Chicago Dance Company. He attended East Carolina University in North Carolina where he worked with Mia Michaels, Mark Dendy, Katiti King and Frank Chaves, Alan Arnett and Tommi Overcash-Galaska. After college Smith moved to Chicago to train with GJDC. He has since had the opportunity to work with great teachers and choreographers including the late Gus Giordano, Randy Duncan, Sherry Zunker, Elijah Gibson and Eddy Ocampo. He has had the privilege to perform in Dance For Life and Dance Chicago multiple times as well as numerous other performance venues including the Goodman Theater and Chicago Symphony Orchestra. Smith has appeared in the commercials for "The Wedding Singer" National Tour and Phillips Magnavox. He has performed on stage with pop artists Kim English, Pat Hodge, Barbara Moran and Byron Stingly. He had the privilege of working with Sir Elton John on this last tour to Chicago. Smith is a teacher of all ages for several workshops and private studios in the Chicagoland area. He is a regional and national adjudicator and teacher for Applause Talent Presentations in addition to teaching and choreographing for workshops and companies across the country. Smith is the Assistant Director of Forum Jazz Dance Theatre, winner of the 2007 Leo's Gold Shoe Award at Jazz Dance World Congress.